The hospital is perhaps one of the top five places where a lot of work goes on. Many patients are always seeking medical attention, and this is where pediatricians come in. Primarily, their main responsibility is to examine patients to identify ailment they are suffering from. They help to examine children to not only assess their growth, but also life progress. Determining the best diagnosis, based on interpretation of tests, is also part of a pediatrician job description. 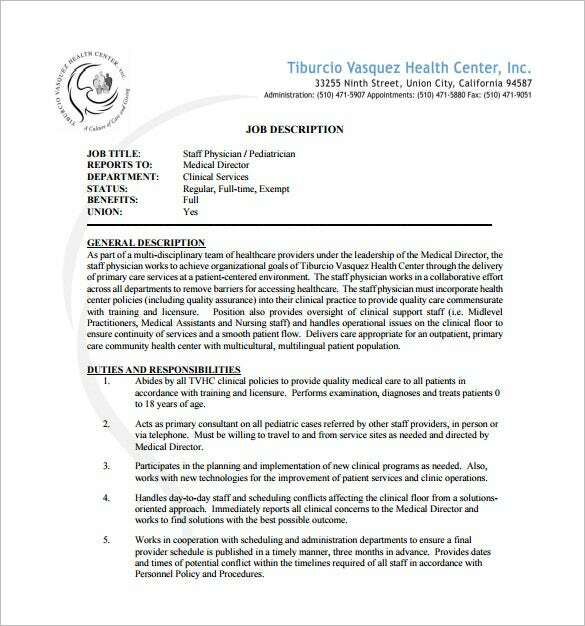 You may like Medical Assistant Job Description Templates. They maintain patient information; this helps them to manage patient’s medication. They also advise people on matters concerning diet, hygiene, prevention of diseases and general health. You may also like Job Description Templates. > How can you use These Templates? Say you are running out of time to draft a sample format for a job description be it for hiring a pediatrician surgeon or some other staff and you need a sample format, that is when these templates will come to your rescue. They have umpteen sections to fill in all the requirements and qualifications necessary for the job. 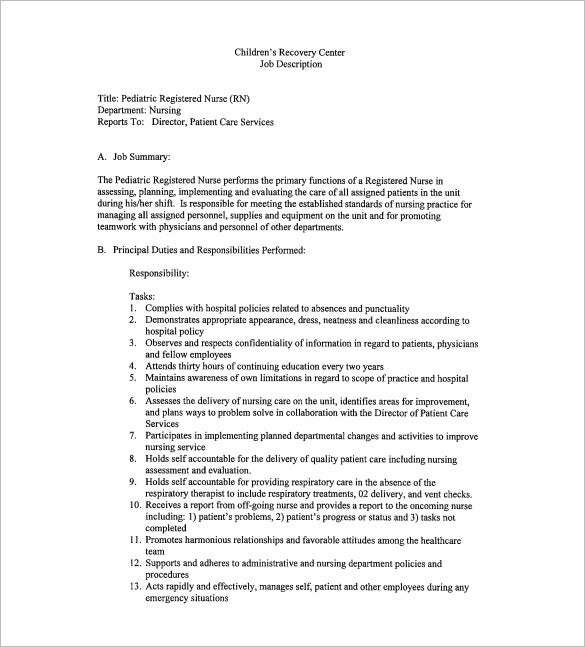 These sample pediatrician job description templates are also accompanied with demo content which almost covers all areas in each sections like job descriptions, responsibilities etc. this demo content can be easily edited and modified according to your needs. > Who can use these Sample Pediatrician Job Description Templates? These templates are designed to suit all purposes and not just for hiring pediatricians. They can be modified for all kinds of jobs and hence can be used by any hiring agency. The best part about these templates is that they are very easy to edit and are multi-purpose. 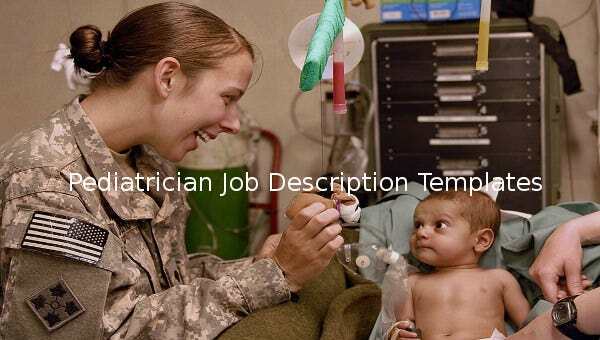 These sample pediatrician job description templates can be used by HRs, Hiring agencies, management authorities for hiring hospital staff, construction staff, government officials, teachers, security staff and others without breaking a sweat. These templates can be used by all hiring agencies be it modelling agencies, advertisement agencies or some other agency. > How to Make use of these Templates for your Benefit? 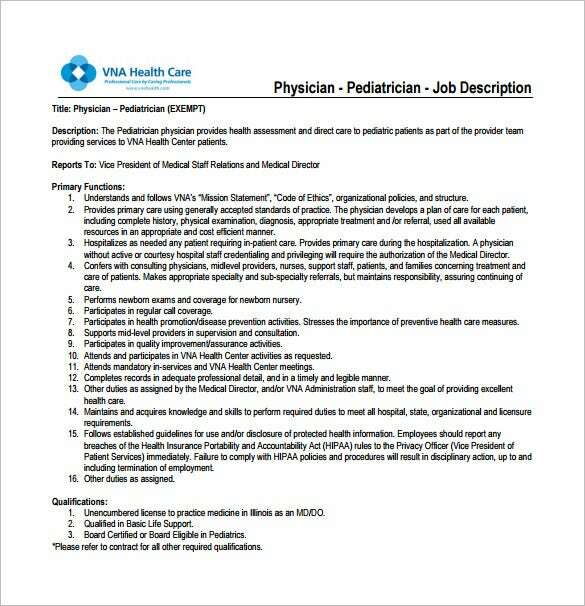 These sample pediatrician job description templates are great for al hiring authorities. These are really easy to edit and use and are available for instant download. These templates can be downloaded for free and used instantly. There is space for adding and inserting logos, job title, job requirements, addition responsibilities etc. These templates are extremely beneficial for busy schedules and hiring requirements. They are available for easy download and can be used instantly without delay. You can download and print these formats after you have modified these. These come with a lot of categories and have demo content available which has a lot of potential for being a complete draft in itself. 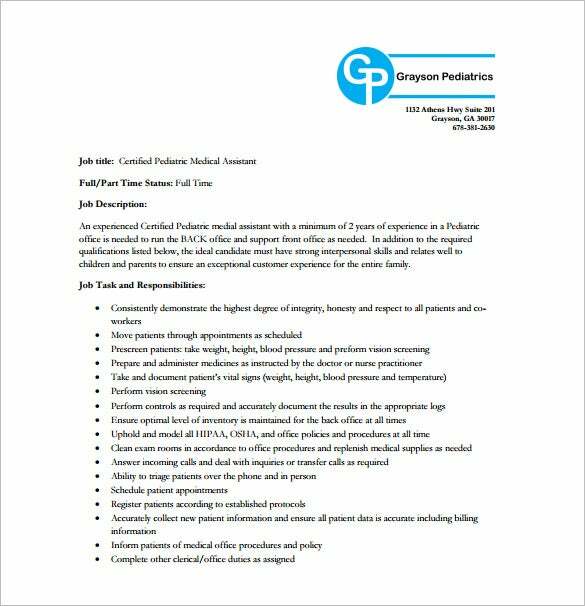 When time is of the essence, these sample pediatrician job description templates come in handy. They are extremely easy to use with their user-friendly edit options. They are accompanied with brief sections for which have categories and sub-categories to explain the job requirements. Any hiring agency or authority can use this and modify the content according to their need. 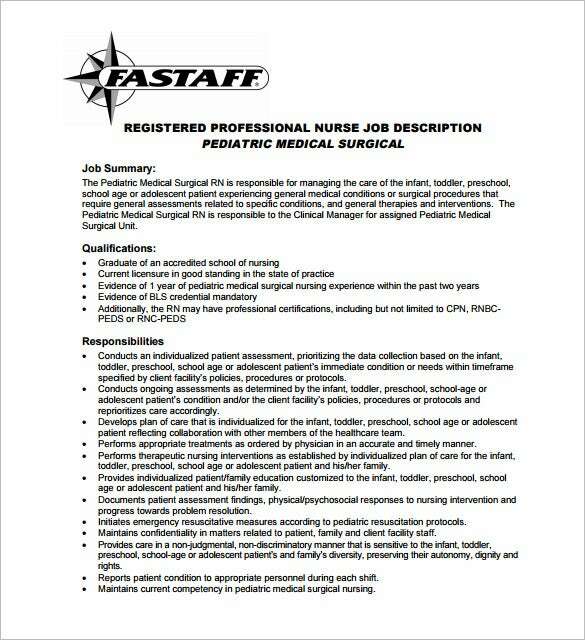 fastaff.com Here’s a great option for Pediatrician Surgeon Sample Job Description PDF Free Download. This sample template comes with a very brief set of categories including Job Summary, Required Qualifications and Responsibilities. It is perfect for Hiring Staff, Management and vacancy adverts. 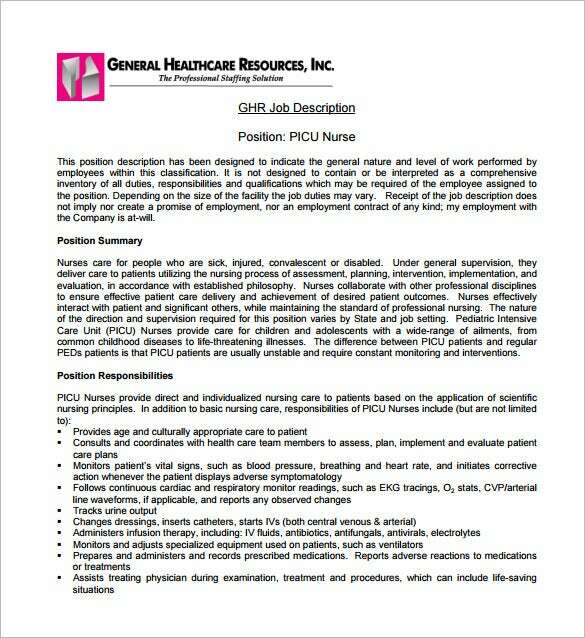 graysonpediatrics.com This Pediatrician Assistant Example Job Description Free PDF Download sample is all you need for saving time. This is completely customizable to suit your need and has options for logo addition, job title, full or part time status and job description. vnahealth.com Get this Pediatrician Doctor Job Description PDF Format Free Download sample and enjoy less time drafting job description formats. This has easy edit options and is ideal for HRs, hiring agencies and authorities responsible for hiring doctors, pediatrician etc. 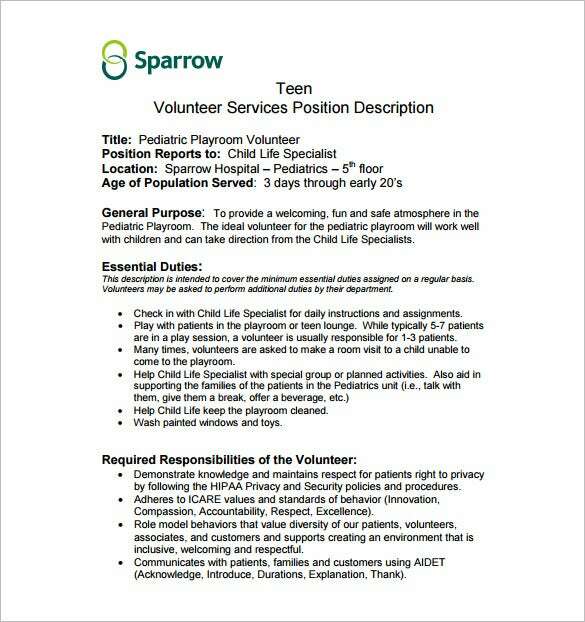 sparrow.org This Specialist Pediatrician Sample Job Description Free PDF Template is you easy way out. This template comes with Title, Position Reports to, Location, General Purpose, Essential Duties, Required Responsibilities of the Volunteer and each section is 100% customizable and easy to edit.